Today’s social media landscape is messy – there are so many different social networks and messaging platforms, with so many different ways to interact with your friends, family and acquaintances. So what if there was a way to bundle all those social media experiences into one all-inclusive social media app? That’s the premise behind SCREAMXO, a one-stop social networking platform that will help to organize your online social life. Through a simple, intuitive user interface, there are five simple tabs – Media Buffet, Shop, Stream, Time and Social – that correspond to the way people really use the web in 2016. Media Buffet is a way to share, stream and upload multimedia content, Shop is an e-commerce storefront, Stream is a microblogging feature, Time is a way to change how long your media and chat content stays visible, and Social is an easy-to-use messaging service. These five functions consolidate the best features of the most popular social networks like Facebook, Instagram, Snapchat and Twitter, but then add a few features that even these networks don’t have. Take, for example, the auto-delete feature found within the Time function of the app. You can opt to have your social media updates auto-delete within a specific period of time, much like the auto-delete functionality of Snapchat. Or, take for example the Stream function of the app – it offers the same ease of microblogging as Twitter, but takes the 140-character limit and tosses it out the window. It’s microblogging without limits. 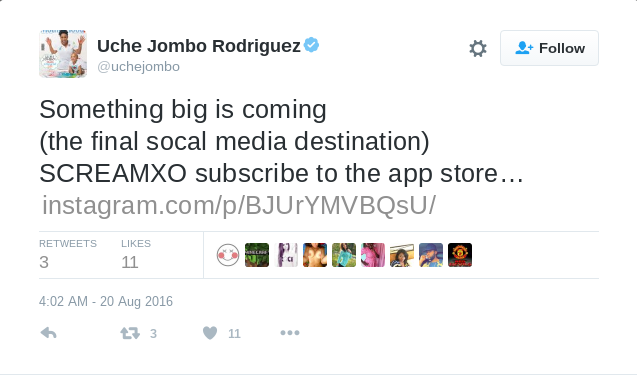 The core use case for SCREAMXO is for active social media users who want one single place to go for everything they do online. With SCREAMXO, you can share, upload and stream unlimited music and video. You can buy and sell items online using your bankcard, PayPal or Bitcoin. You can post quick microblogging updates about what you’re doing in real-time. And you can message your friends with the “Easy Social” feature. Instead of constantly opening and closing apps on your smartphone screen, you have a way of staying within the same app for all of your social experiences. And, according to the app’s founder, Ugochukwu Okafor, there’s one more way the app might be used. Young creative professionals in cities like New York and Los Angeles can use the SCREAMXO app to connect with their core audiences online. They can uploads photos and videos of their work, sell venue tickets, organize merchandise giveaways, or run marketing campaigns – all from within the same app. Since all the content on the app is stored in the cloud, you can take your creative business – whether you’re an artist or a music band – anywhere your smartphone goes. “Our innovative app is a game-changing amalgamation of the best techniques of today’s social networking sites. We are glad to bring to you a marvelous Christmas gift this year,” says Okafor. Already, the momentum is starting to build for the Christmas launch of SCREAMXO. 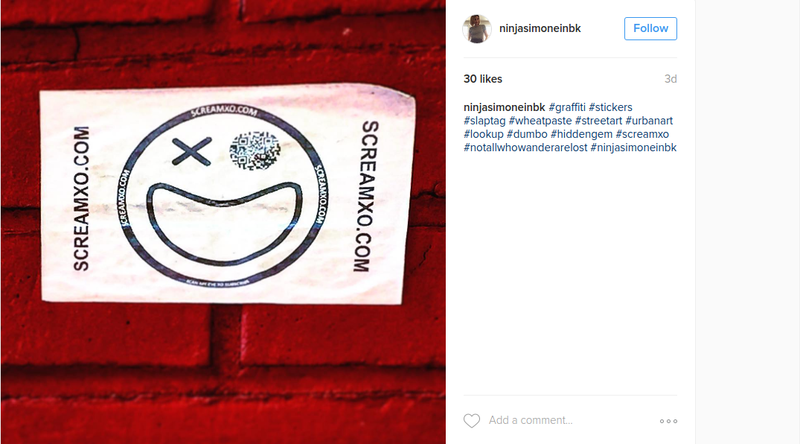 In certain neighborhoods of Brooklyn, emoji stickers with the words “SCREAMXO” have started to appear – part of a grassroots effort to build buzz for the app. So far, access to the app is by subscription-only, but the team at SCREAMXO has been offering online sneak previews of the app before the grand launch on Christmas Day. It’s a gift that many people already can’t wait to start unboxing. Go sign-up today at, you don’t want to miss out screamxo.com! Next ArticleDo I Need A CDN For WordPress?